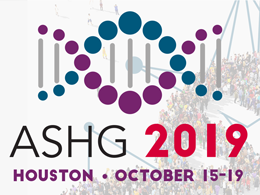 On the heels of our successful 2018 meeting, the Program Committee is soliciting invited session and workshop proposals for ASHG 2019, taking place October 15-19 in Houston. Proposals are due on December 13, which is just over three weeks away. One of the highlights of the meeting for me are the interactive invited workshops, which help me stay up-to-date on the latest research tools that I can use in my own work, as well as keep me informed about and engaged in pressing issues in human genetics. Today I will share some tips on how to build a cohesive, competitive invited workshop proposal that will be well received by the Program Committee and, if accepted, the attendees of the workshop. If you are looking for advice on invited session proposals, see last year’s blog post. An Interactive Invited Workshop is an educational or instructional event that relates to scientific scholarship, research tools, new technologies, skill development, or public information related to science. If you are looking to organize a session to address the state of the science on a specific topic, you may want to submit an invited session proposal instead. Tip: Craft your session to benefit attendees. Take this opportunity to write a clear description of the intended workshop with realistic goals to accomplish in 90 minutes. The average workshop participant is relatively unfamiliar with the tool or skill being taught, and the workshop goals should be conceived and communicated accordingly. A good strategy is to cover two to three main concepts and, if in doubt, err on the side of more basic learning outcomes. If you want to target a more advanced audience, remember to be explicit about what prior knowledge you will expect of participants, and stay away from words like “introduction” and “primer” in the workshop title to avoid confusion. Tip: Plan for a crowd. It can be challenging to maintain interactivity with up to 200 attendees at your workshop! I recommend you recruit help from knowledgeable colleagues who can either co-present or float throughout the room to help participants who are falling behind. Depending on the complexity of the skill or software, four to six workshop leads should be sufficient. To support your ability to recruit a team to oversee the workshop, ASHG offers complimentary meeting registration for up to two workshop presenters, as well as an extra four complimentary workshop tickets for any additional experts you invite. Tip: Workshops can be low-tech. Despite the increased use of computers and other technologies in the lab and clinic, there is a desire for skill-based workshops. Past programs have included workshops on improving clinical communication with patients and exploring how to accurately and sensitively capture demographic data in research studies. Such workshops can build great connections between attendees. Just be sure to avoid a series of lectures from a panel, which would be better suited to an invited session. Tip: Improve upon past experiences. If you have run a similar workshop before, either at a previous ASHG Annual Meeting or another venue, be sure to address past challenges. For example, if too many participants thought the workshop pace was too fast, you may wish to reduce the amount of content covered, pair attendees for the demonstrations, or recruit additional floaters to help keep everyone on track. There will be space on the proposal form to include past participant feedback. Of course, new workshop organizers are always welcome and encouraged. Want more tips? Watch our video on how to craft a competitive invited workshop proposal. Top 5 tips to craft an Invited Workshop proposal: Watch! Kiran Musunuru, MD, PhD, MPH, 2019 Program Committee Chair, is an Associate Professor of Cardiovascular Medicine and Genetics, and the Director of the Cardiovascular Institute’s Genetic and Epigenetic Origins of Disease Program, at the Perelman School of Medicine at the University of Pennsylvania.